Chauffeured rides in black SUV's, a private dressing room with flowers, pictures on the Jumbotron and my music playing in a packed arena at an NBA game - not my typical show to say the least! Ha! My band and I had the very sincere privileged of performing in the Billboard Lounge at Barclays Center this week. What an experience! We played our music, our way, to a packed house of friends, family, co-workers and strangers alike. I could not have been more proud of us as a team and of the performance we gave. We played with heart and most importantly, just HAD FUN! Barclays Center Programming Team & Arena Staff - thank you for this opportunity and your incredible support! 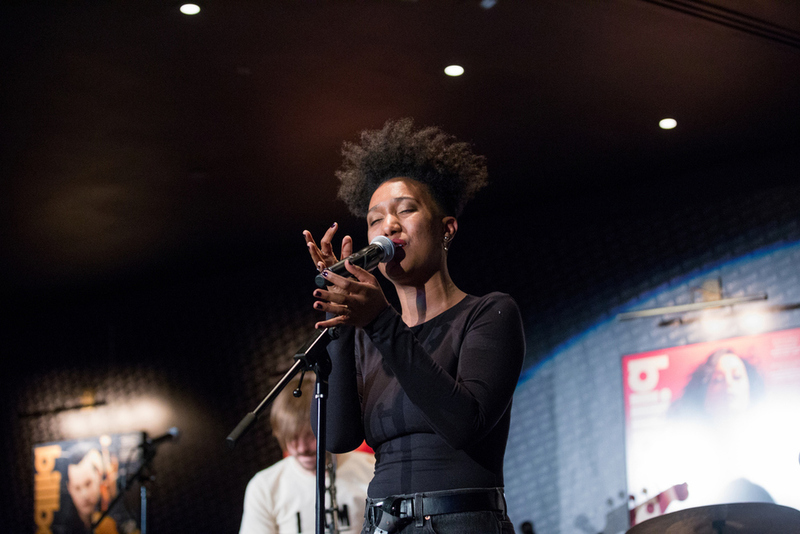 #ICYMI: @Elle_Winston set #BillboardLounge on fire! Billboard Online - thank you for the generous and poignant review of our show! Click the image below to read the article. Melissa & Friends - thank you for your unwavering belief in me and your incredible ability to always show up. Means everything! Da Band - can't say enough about your professionalism, talents, humor, support, energy, etc. I could go on and on. Thanks for putting in the time!